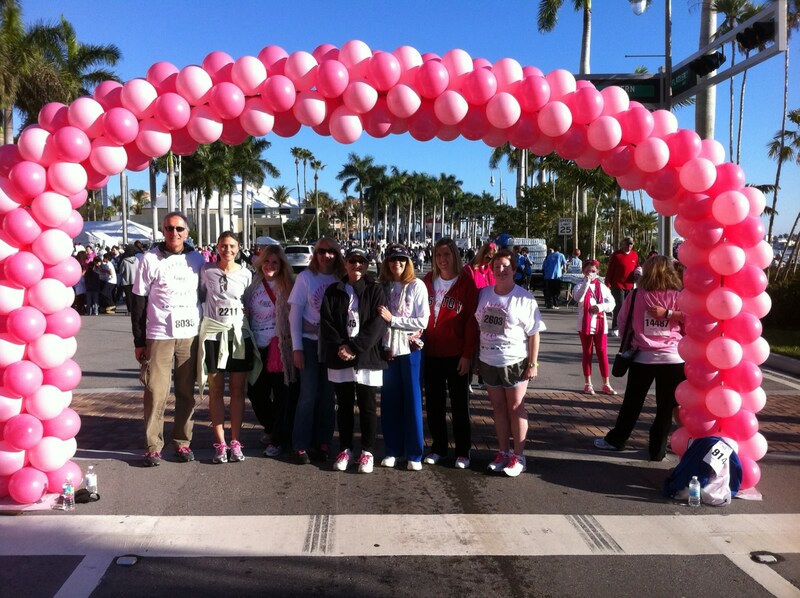 Last weekend my parents and their friends participated in the 20th annual South Florida Race for the Cure. It was a beautiful, warm day down in South Florida. I thought about my family having fun in the sun while I was up here watching the snow fall- great job guys! 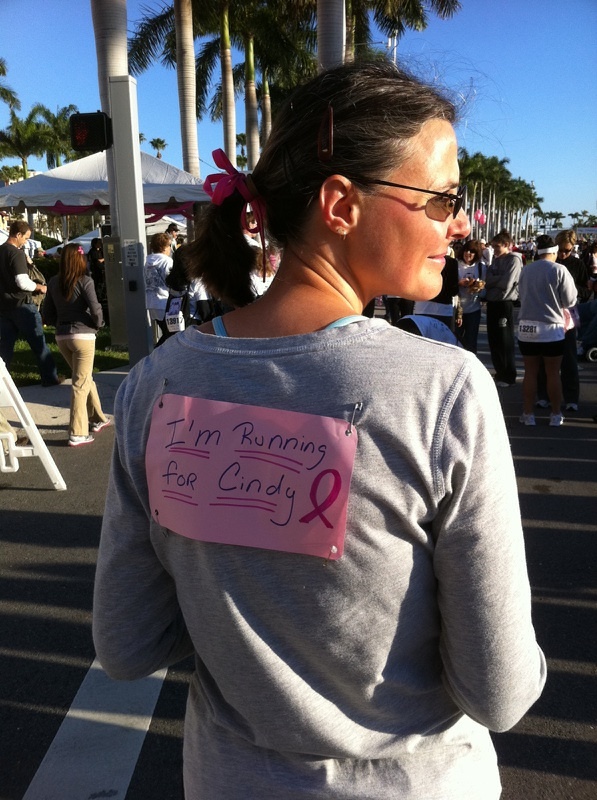 My mom's friend Donna, was running in honor of my Aunt Cindy, who is currently fighting breast cancer. In a previous post, I showed how we made head scarves for her. Check it out here.